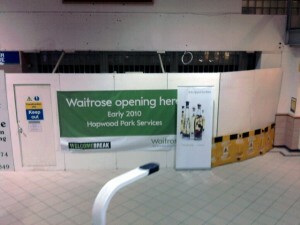 I’ve just received the photo above from Mark Leaver, taken on his phone last night at Welcome Break’s Hopwood Park Services on the M42. 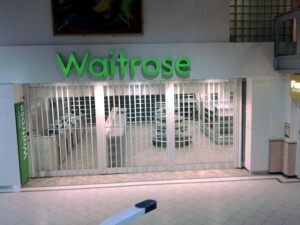 It shows the new Waitrose store looking more or less ready to be stocked, ahead of its intended opening this week. 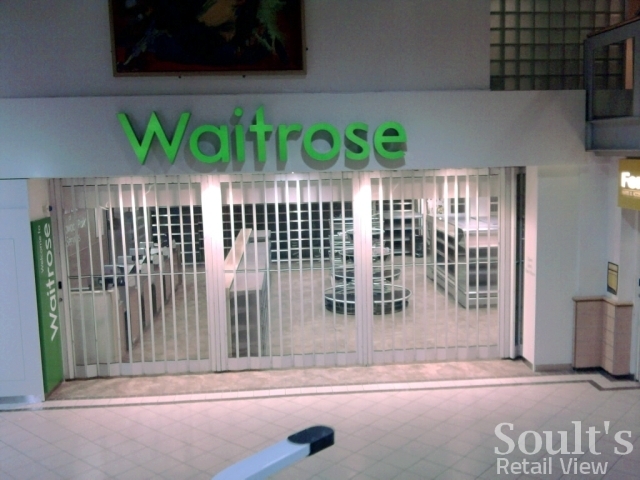 Previous story Remember Maurice Gerald at 6 Bigg Market, Newcastle? 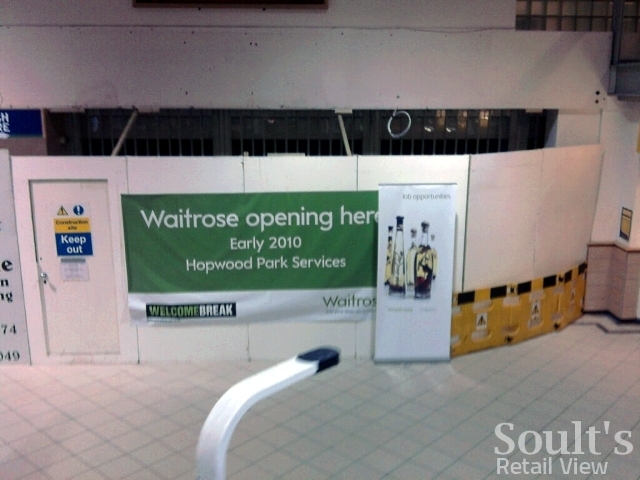 Soult's Retail View» Blog Archive » Waitrose Hopwood Park now open!